If you like to use SharePoint pages like millions of other users, we want you to be more productive by being able to take action directly on your pages. I am happy to announce that, starting today, you can embed PowerApps on SharePoint pages. To achieve this, we use the Embed web part capability on the SharePoint page and add the app as an iframe content. The iframe code I am using above is like following. Please refer to this post where I talk about how to generate the src Uri for your app. I suggest using the width and height property to set the content area to your app's aspect ratio, it will ensure that there is no grey background area around your app and your page looks visually rich. Depending on your SharePoint site settings, you may get an error that embedding content from PowerApps website is not allowed. To work around this, please work with you site administrator to add "powerapps.com" is the list of allowed domains. This is not the final version of this capability but rather the first step in the journey, we will make this experience much easier to use without the need to manually create iframe, src Uri or using web parts. 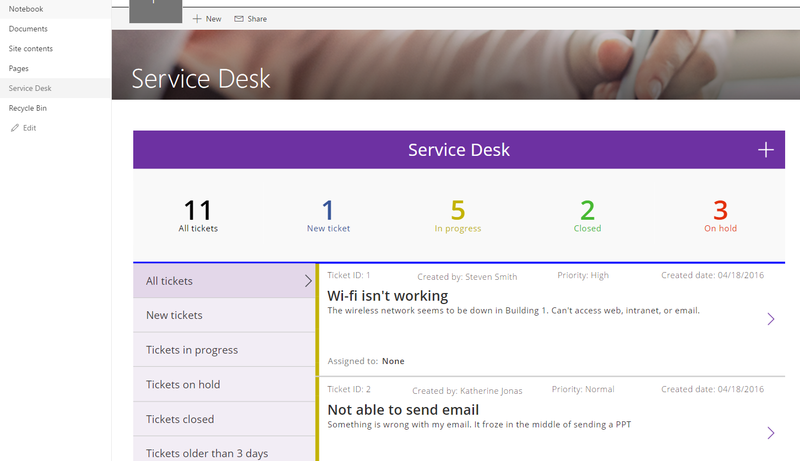 Please let us know your feedback and questions on the PowerApps forum.